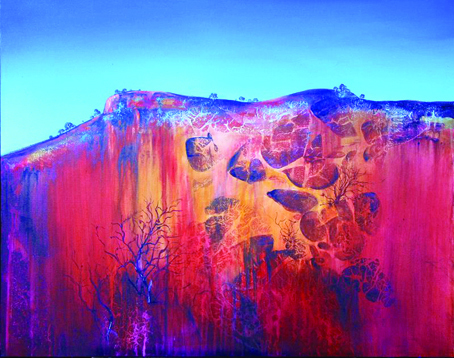 Metka Škrobar’s nature-inspired artworks are intertwined with waves of selected elements and forceful colours. Her hand is guided by her temperament, which in the storming gestures draws the details and in coloured planes threads the essence. Ideas are followed by composition which, even when momentarily untidy, is thoughtfully stressed with light effects and pouring colours. 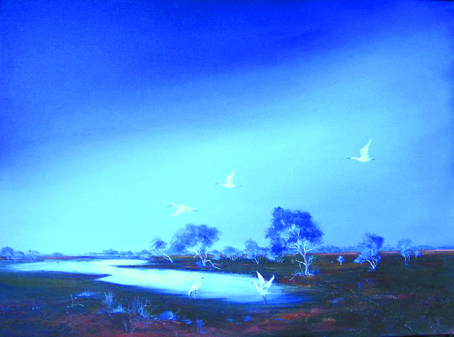 Metka Skrobar is an Australian Artist based in South East Queensland and has been painting professionally since 1982. 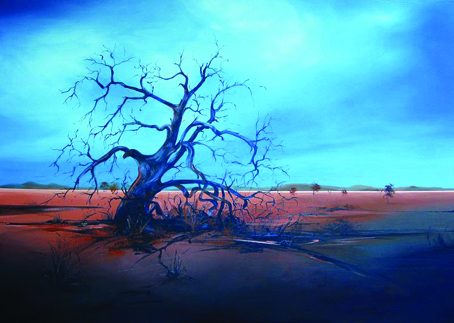 Metka is an established Watercolourist and very popular Art Tutor who travels throughout Australia conducting regular workshops. 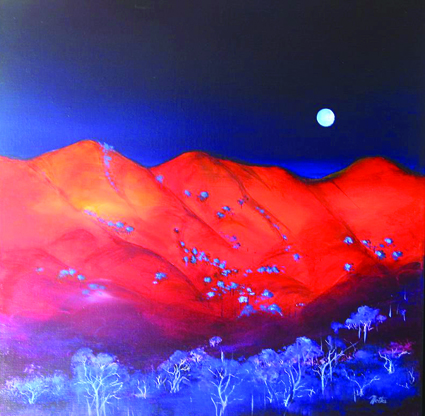 With her love for ‘The Outback’ she frequents the remotest parts of Australia to explore, discover and collate ideas which serve as an inspiration for her artworks. 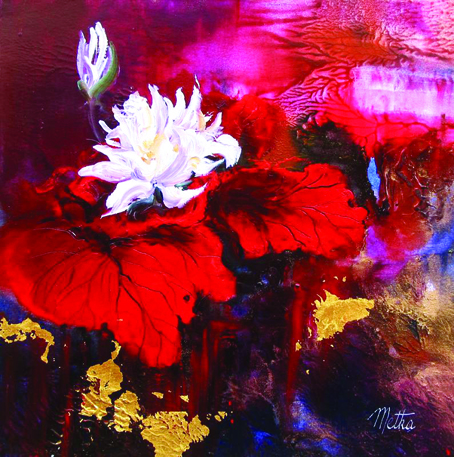 Originally from Slovenia, Metka, often travels to Europe where she has held a solo exhibition in her home town, Maribor, and also participated in several highly regarded group exhibitions in Slovenia, Italy and Austria. Metka spent time studying under Europe’s Master Watercolourist, France Slana. Amidst an impressive and industrious career Metka’s Curriculum Vitae reflects her professional attitude and her ability to appeal to a wide audience. 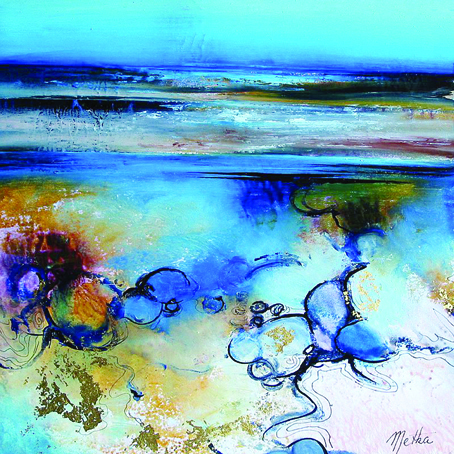 Metka resides and works on the Gold Coast in South-East Queensland. 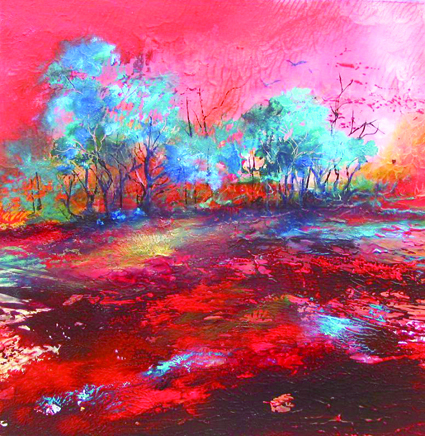 Since she started painting full time in 1982, she has taken part in many art workshops and study tours both in Australia and Europe. 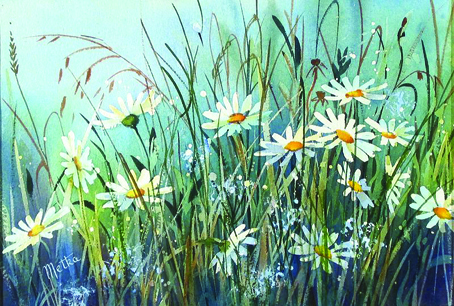 Working mainly in watercolour and more recently in acrylic and mixed media, Metka shows a versatile and subtle technique in a neo-impressionist style, often depicting the natural environment, with just a touch of fantasy. “In my upbringing, my life experiences, education and motivational influences all work to produce the person we are. I do believe that in some of my current work and the work of the past 20 years or so there is evidence of my Slovenian heritage. 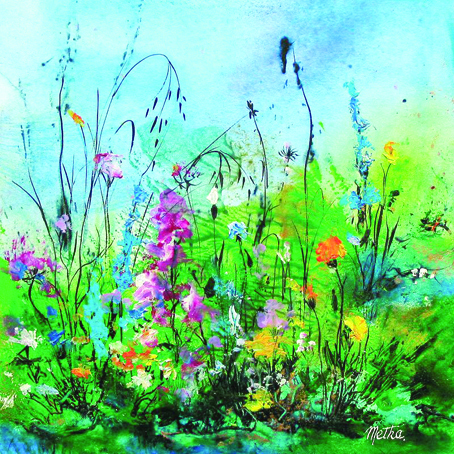 In recent years Metka has traveled to Europe frequently, where she has studied privately with France Slana one of Europe’s master watercolourists. She has participated in selected group exhibitions in Slovenia, Italy, and Austria. She has also held a solo exhibition in her hometown of Maribor in Slovenia. 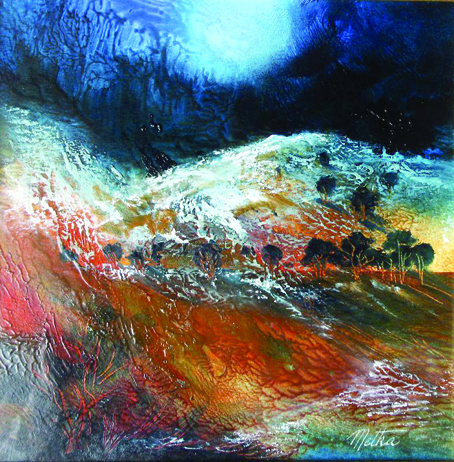 To date Metka has held twenty solo exhibitions and has her work represented in corporate and private collections and major galleries throughout the eastern states of Australia and nationally in Qantas Club Lounges.